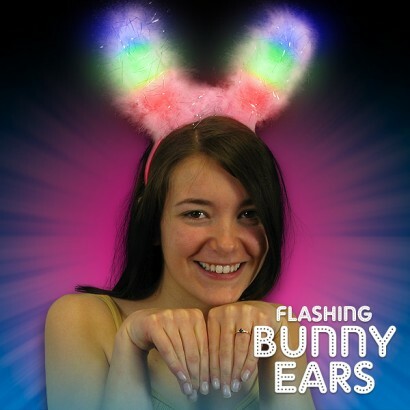 Packed full of multi coloured LEDs for ultimate fun factor, flashing bunny ears are a real favourite! 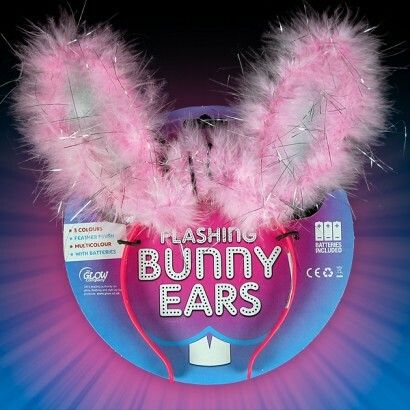 Red, blue and green LEDs flash through the centre of these funky bunny ears in a super bright chase effect, and finished with super soft pink feathery fluff, they're a fantastic party accessory. 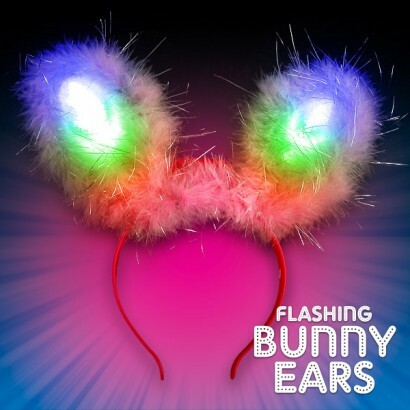 With batteries included, and a flexible head band that will fit both kids and adults, these super bright bunny ears are ideal for parties and events! Each ear flashes 3 colours!